The Tiger Bar in Phuket was the last place where I would have seen myself on New Year’s Eve 2004. It was filled with techno beats, smoke and drunken tourists, many with Thai girls sitting on their laps. It was life as usual at Patong Beach – except that it wasn’t. The houses down the road had been swept away by the tsunami. Along the beach, silent groups of people gathered around fires commemorating the dead. When the disaster hit on Boxing Day, we thought at first that we could rely on the Financial Times correspondents in Asia for our coverage. But we soon realized that up to 1000 German tourists were missing in Phuket. Somebody had to go, and I was the Asia editor. The regular flights had been cancelled, but I managed to get on a charter flight from Munich. My fellow travelers were rescue teams and their dogs as well as a few regular Germans who were looking for relatives. One of them was Alexander Kühne who became the protagonist of my feature story. His niece had survived the disaster and called him from a hospital. Now he was on a mission to find his brother. He spent the next days visiting crowded hospitals and looking at notice boards with photos of bloated and distorted corpses. He searched for clues in the rubble at the beach and went to the Buddhist temples where volunteers piled up the dead bodies. When I met him again on New Year’s Day, he had given up hope for his brother, but he was following one last clue that his sister-in-law might still be alive. It turned out that she wasn’t. A natural disaster had been the reason for my first trip to Thailand, a political earthquake triggered the second. In November 2006, I flew to Bangkok in the aftermath of the military coup against the elected Prime Minister Thaksin Shinawatra. On the same trip I also visited Indonesia, Singapore and Vietnam. In Vietnam I wrote a feature about the Communist country’s upcoming accession to the WTO. Hanoi was about to host the Apec meeting for the first time, and the streets were decorated to greet the guests, among them U.S. President George W. Bush. Three decades after the Vietnam War, Americans were more welcome in Vietnam than in most other Asian countries. I wrote a story about this with the title “The good American”. 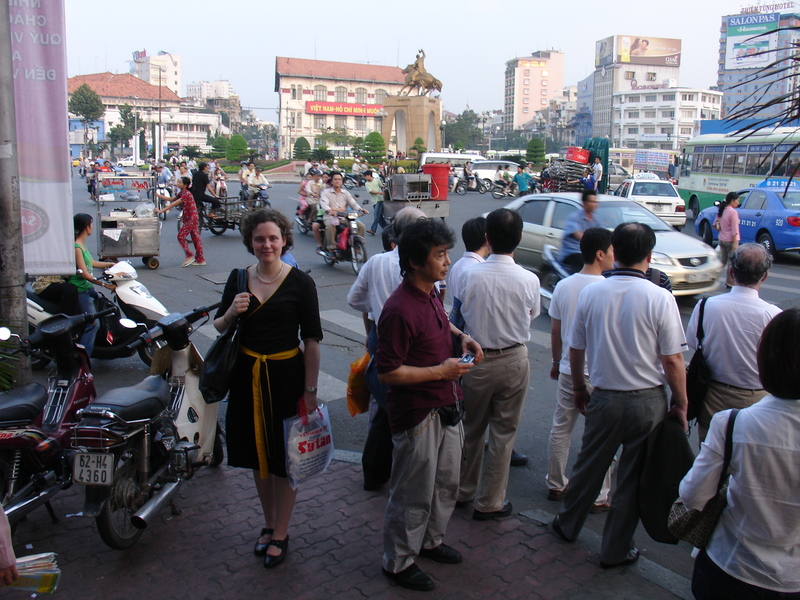 China and its influence were never far from view on my travels in South East Asia. On a trip to Malaysia in 2003, I witnessed the frictions between the economically successful ethnic Chinese and ethnic Malays whom the constitution grants preferential treatment. 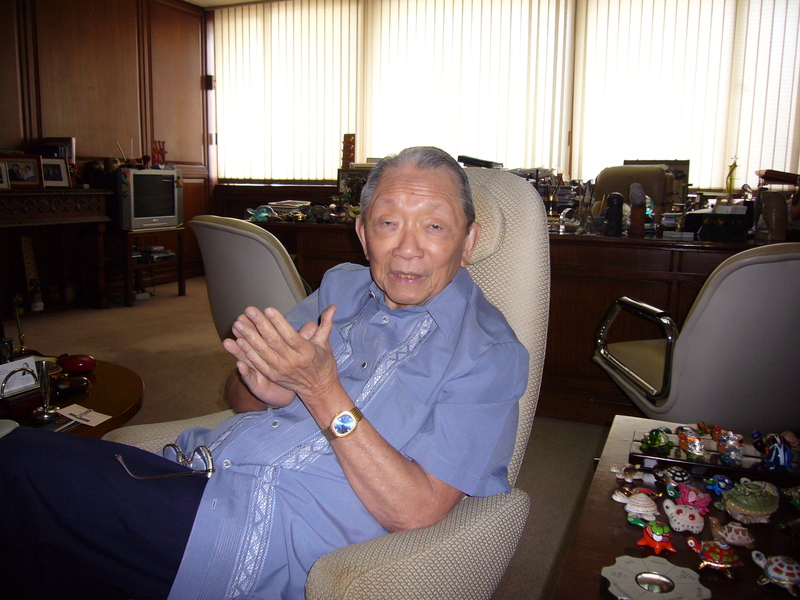 On the sidelines of a journalists.network trip to the Philippines in 2007, I wrote a profile about Washington SyCip. The agile senior (he was 85 years old back then) was one of the Taipans with Chinese roots whom many German companies relied on to do business in that country. In all South Asian countries, I observed the struggle to overcome nepotism and corruption. Under its new President, Susilo Bambang Yudhoyono, Indonesia had made some progress. In the Philippines, a lot remained to be done. At the end of the journalists.network trip to Manila and Cebu, my fellow organizer Martina Merten and I added a week long vacation on the island of Palawan – where we learnt the most about politics in the Philippines. 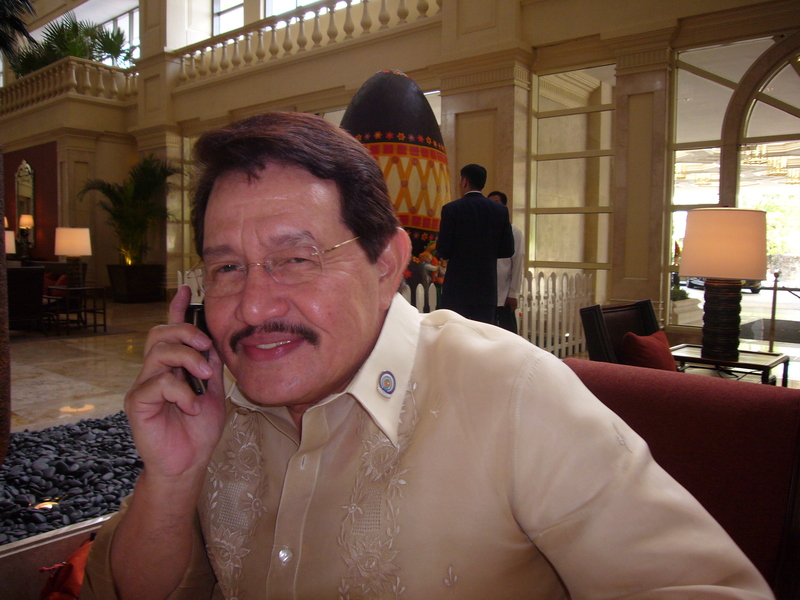 The entire island was the empire of Edward Hagedorn, the mayor of its capital Puerto Princesa. The man with the German-sounding name had impressed foreign governments and media by introducing garbage separation and promoting eco-friendly tourism. The Hagedorns seemed to own everything on the island, including the vacation home we had rented with a pool overlooking the beach, a cook, a driver and a security guard. The guard, who was also a fisherman and a gifted Elvis Presley impersonator, had previously worked as Hagedorn’s personal security detail. Whenever he or his children got sick, the mayor pulled a few bills out of his pocket. Our guard’s was a safe vote for Hagedorn in the upcoming local elections. Not that the people of Palawan had other options. We saw Hagedorn’s grin and Latino style mustache on every house, our driver listened to a tape with songs praising the mayor. As we learnt later, there had once been a brief interregnum after another candidate had won the elections. But Hagedorn’s people orchestrated a recall, and the Supreme Court later allowed him to be re-elected even though he had already served two terms. That was in 2001, and as far as I am aware, he has not been challenged since. This entry was posted in The Five Asia Years and tagged FT Deutschland, Palawan, Philippines, Sabine Muscat, South East Asia, Thailand, Tsunami 2004, Vietnam. Bookmark the permalink. What extraordinary events you have witnessed, Sabine. I appreciate the way you write in German, too – it is not overly fussy language, very clear and direct. And your stories take the reader “right there”. And I am left wondering if Alexander ever was able to find his sister-in-law Barbara in the tsunami aftermath.